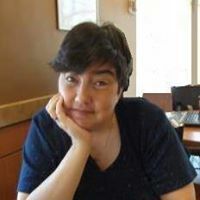 Karen Vaughan lives in Peterborough Ontario with her husband Jim and a cat named Sugar. She is the mom of a 25 year old daughter and four grown step children and a 5 year old grandson named Ike. DEAD COMIC STANDING is her second novel. Her first novel DEAD ON ARRIVAL garnered praise from friends, family and online gamers. She also enjoys doing crafts and other hobbies. Her third book and sequel to DEAD ON ARRIVAL is called OVER HER DEAD BODY. DAYTONA DEAD is the third in that series and was released in May 2013. 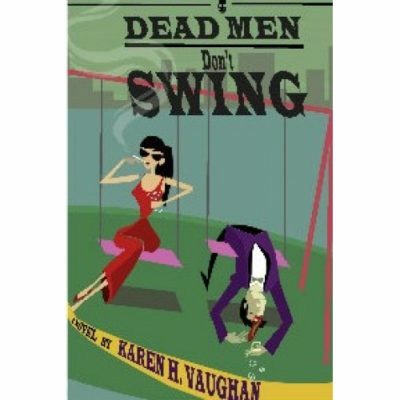 The latest in the series is DEAD MEN DON’T SWING. Other than writing Karen loves to read , do crafts and play online games. Currently she hosts WRITERS ROUND TABLE starting January the 14th . 2014 She has a quirky sense of humor and shows this in her mysteries.